the long history of physicians experimenting on themselves (but also on family members), human experimentation has been a more-or-less coercive relationship involving slaves, prisoners (both in penal institutions and, most infamously, in the Nazi concentration camps), soldiers, the poor, the mentally ill, racial minorities, children, women, and other vulnerable groups (see, e.g. Guerrini 2003; Lederer 1995; Washington 2006). And as the term “human guinea pig” suggests, this is a vulnerability that human subjects share, at least in some respects, with their nonhuman counterparts. “[W]hat generates our moral response to animals and their treatment”, Cary Wolfe (2008: 11) writes, “is our sense of the mortality and vulnerability that we share with them, of which the brute subjection of the body – in the treatment of animals as mere research tools, say – is perhaps the most poignant testament” (see also Acampora 2006: 130). Whether this subjection is achieved through economic coercion, as in the case of many human subjects in phase one trials, or, as in the case of the nonhuman animals on whom drugs are tested, through physical confinement and restraint, it is the reduction of the body to a mere object of labour that strikes such a powerful ethical chord (Acampora 2006: 97-103; Greenhough and Roe 2011). Indeed, it was the recognition of this shared vulnerability that helped give rise to the movement against human experimentation in the United States (Lederer 1995). In the early twentieth century, Susan Lederer explains, it was the antivivisection movement, a movement concerned primarily with the plight of nonhuman animals, that led the charge against what it called “[h]uman vivisection”, or non-therapeutic experimentation on vulnerable human groups (Lederer 1995: xiv, italics omitted). “That investigators would treat human subjects like laboratory animals was precisely what antivivisectionists feared”, Lederer (1995: 123) writes. In the US, the UK and countries with similar laws, before a drug may legally be tested on humans in phase one trials, it must first be tested for toxicity on nonhuman animals in what is called the pre-clinical phase. The purpose of preclinical toxicity testing is to reduce the risk to which human subjects in phase one trials are subjected. The connection between human and nonhuman subjects raises an intriguing question: if human guinea pigs are engaged in clinical labour, what about actual guinea pigs? 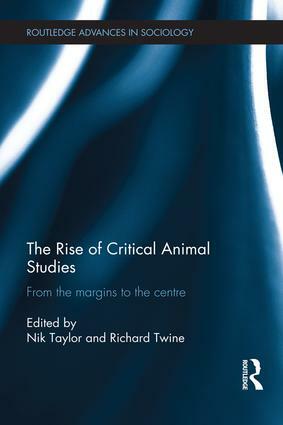 To date, scholars working on the concept of clinical labour have had little to say about nonhuman lab animals, and most of the scholars who have written about these animals have classified them as part of the means of production, or “living laboratory equipment”, not as labourers (Birke 2003: 213; see also Cetina 1999: 138-158; Kohler 1994: 6-8). Yet a close reading of some of these accounts reveals another way of thinking about lab animals, one that affords them greater agency. For example, in his history of the fruit fly as a model organism, Robert Kohler describes the flies most often as lab tools; occasionally, however, they figure as the scientists’ “co-worker[s]” in the lab, though Kohler does not develop this theme in any depth (Kohler 1994: 1, see also 23; for other examples, see Pemberton 2004; Russell 2004). Picking up on this theme, this chapter examines the question of whether it makes sense, both analytically and politically, to regard the participation of nonhuman animals in pre-clinical toxicity testing as a form of clinical labour.